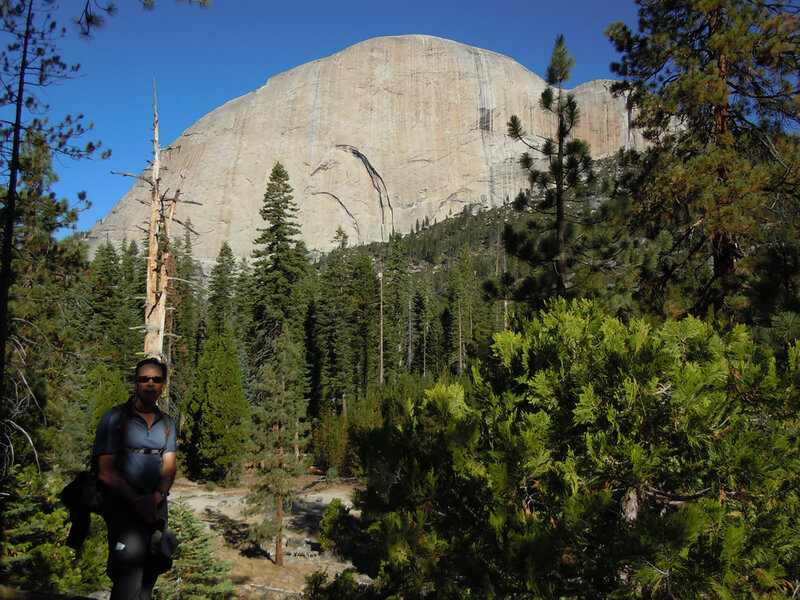 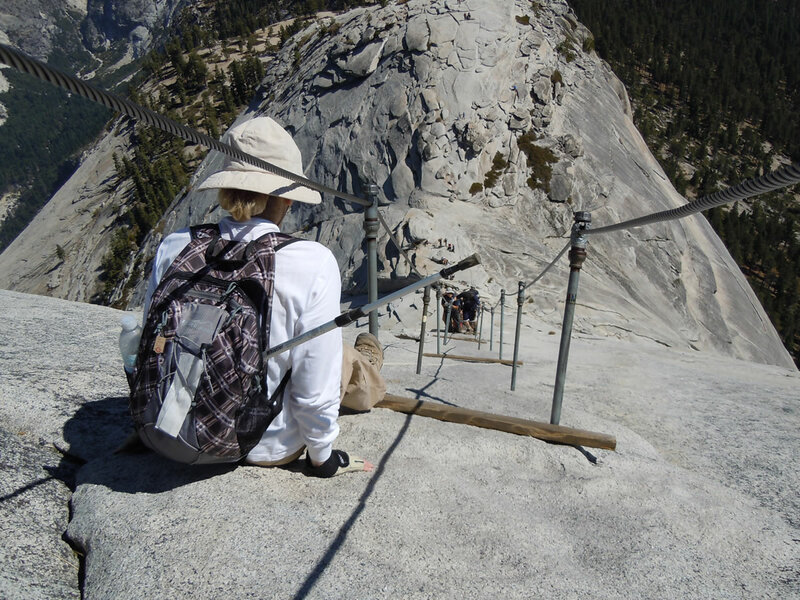 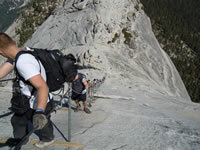 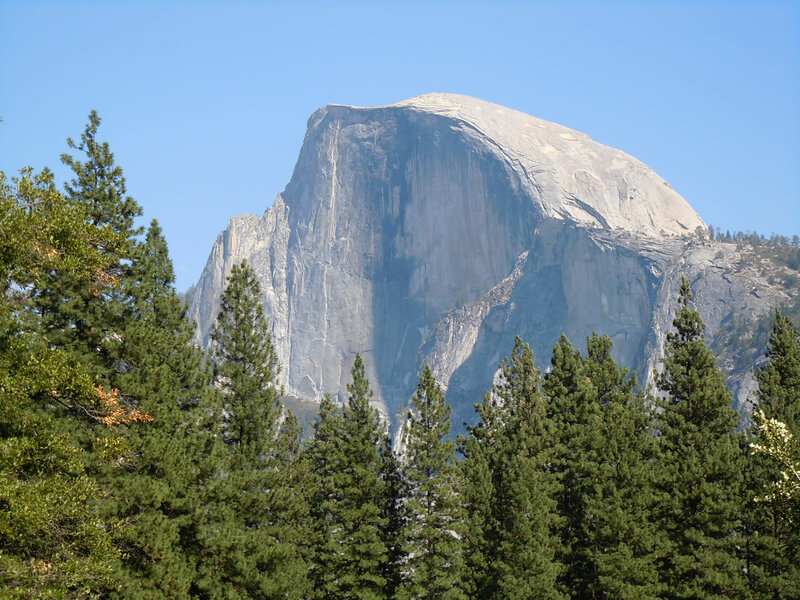 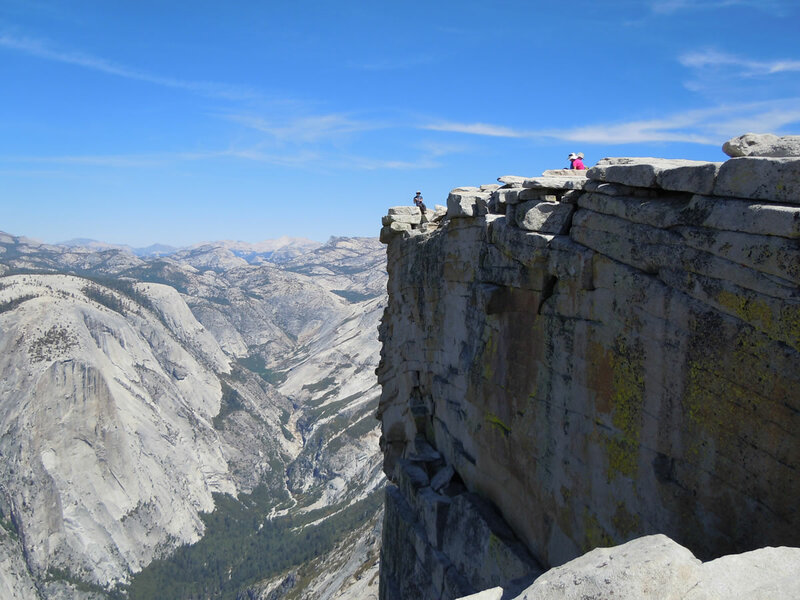 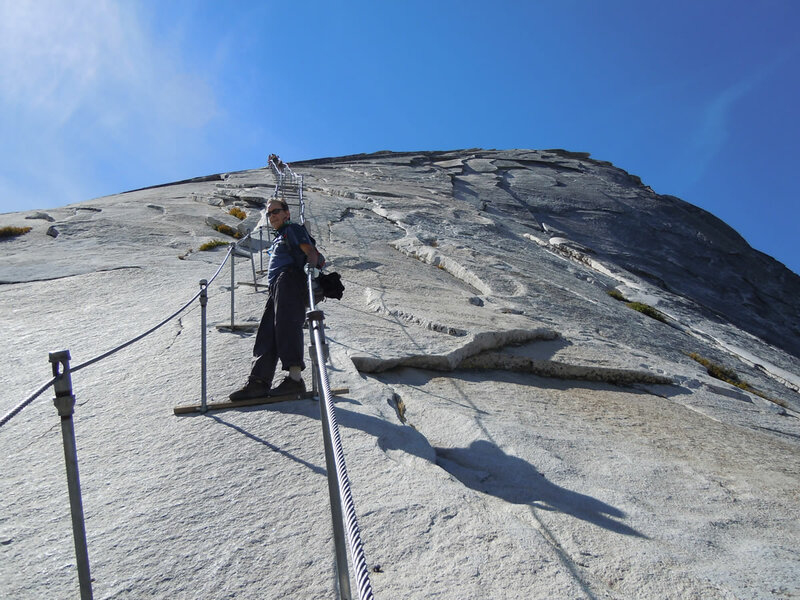 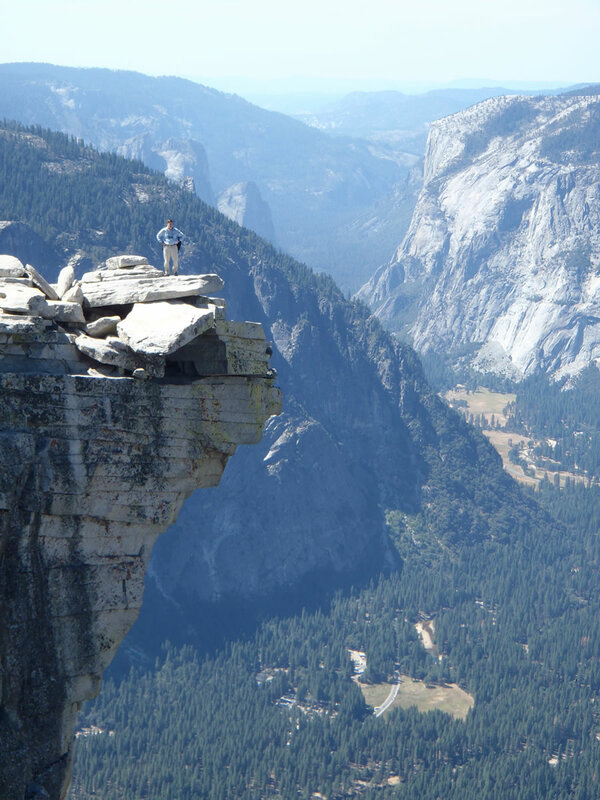 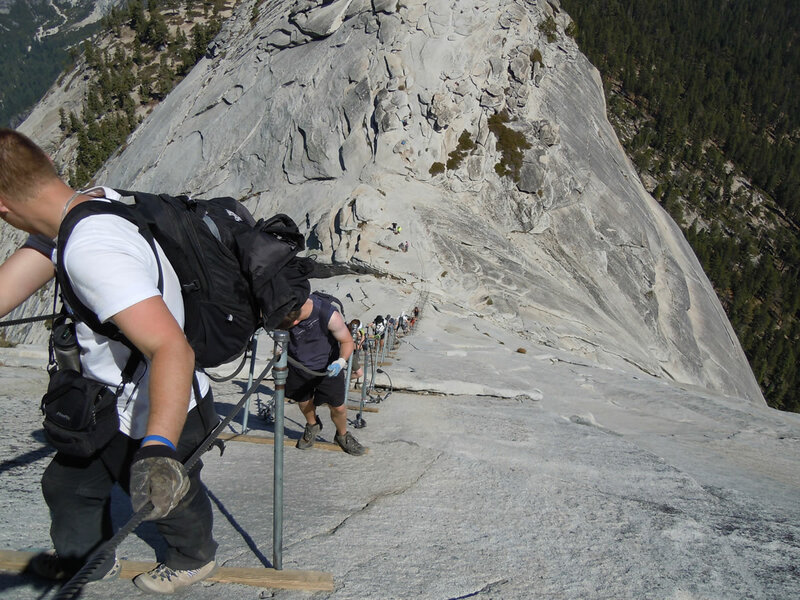 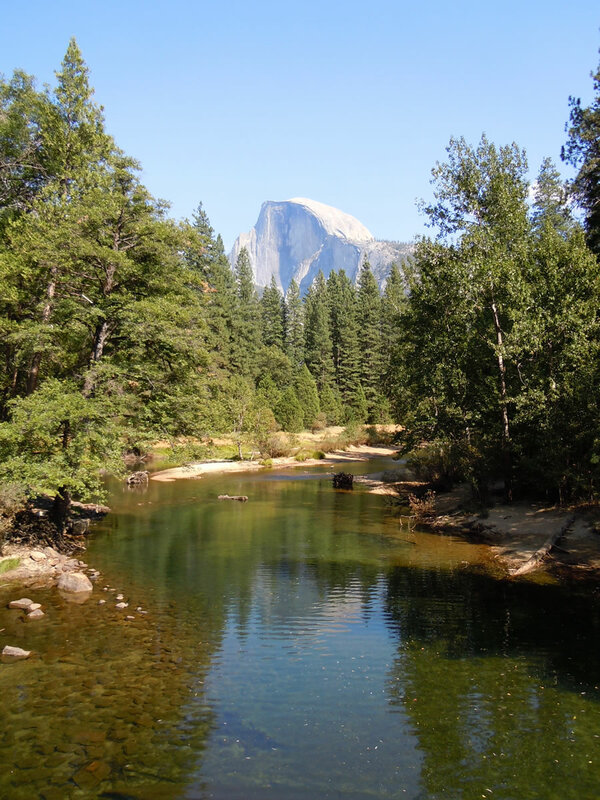 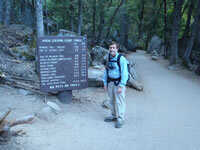 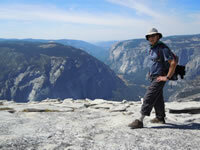 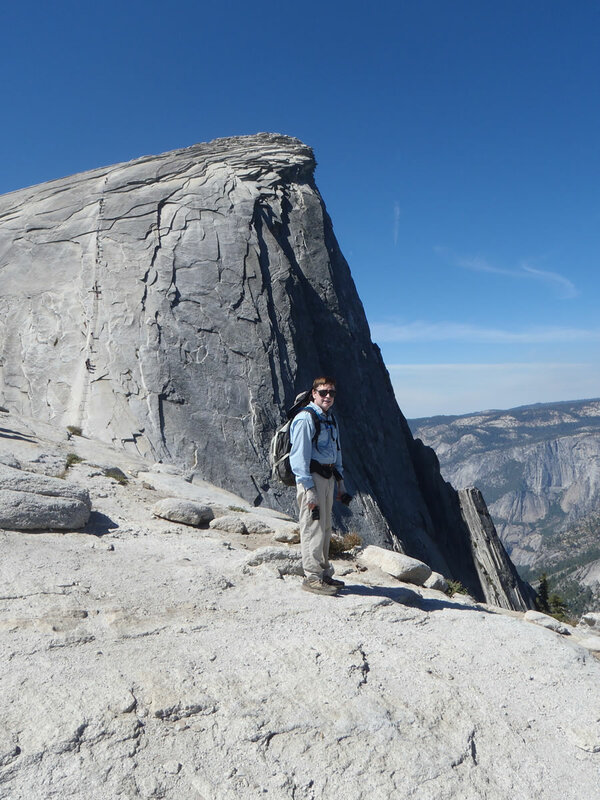 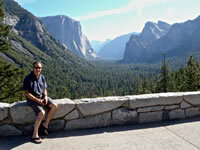 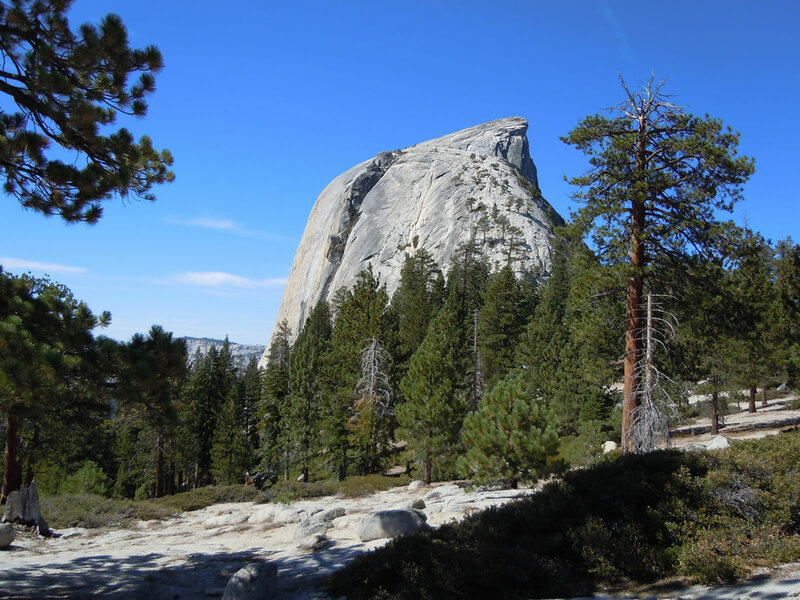 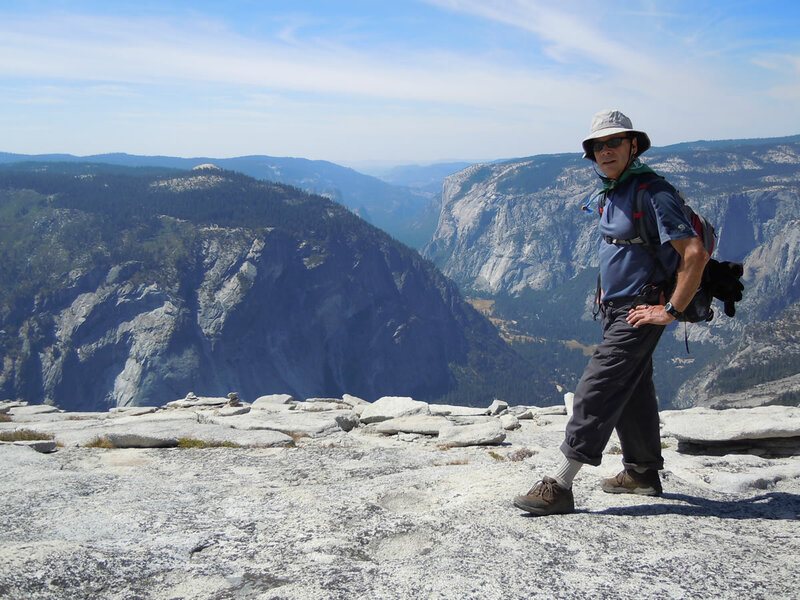 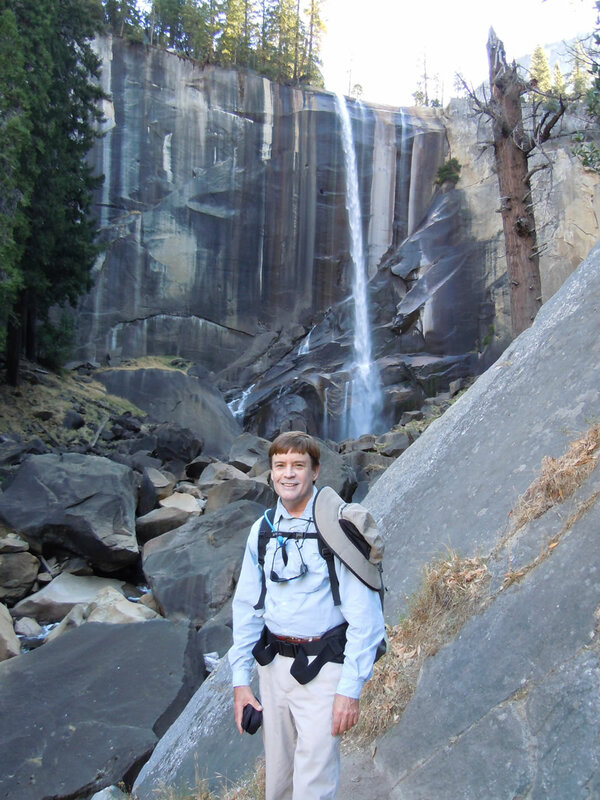 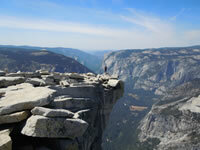 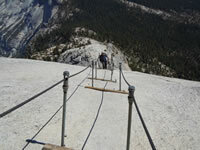 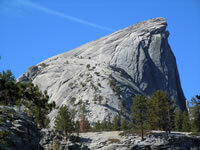 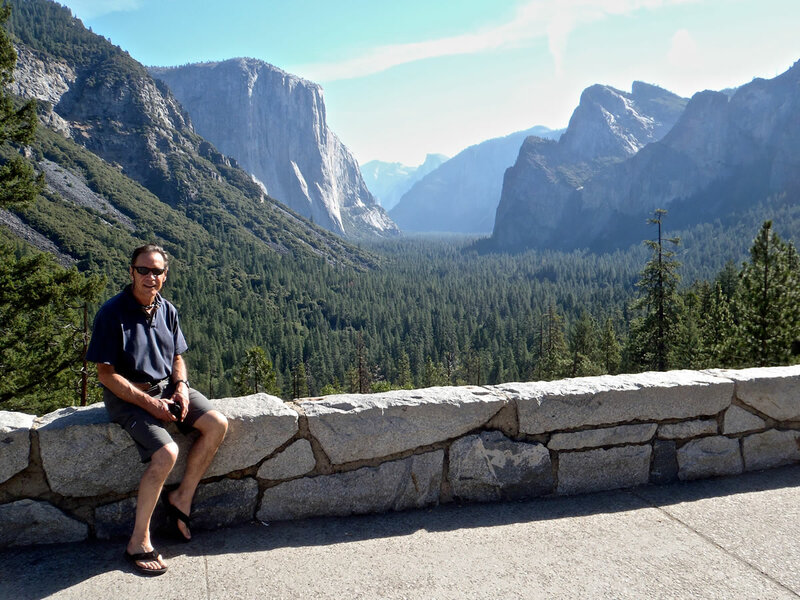 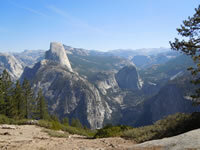 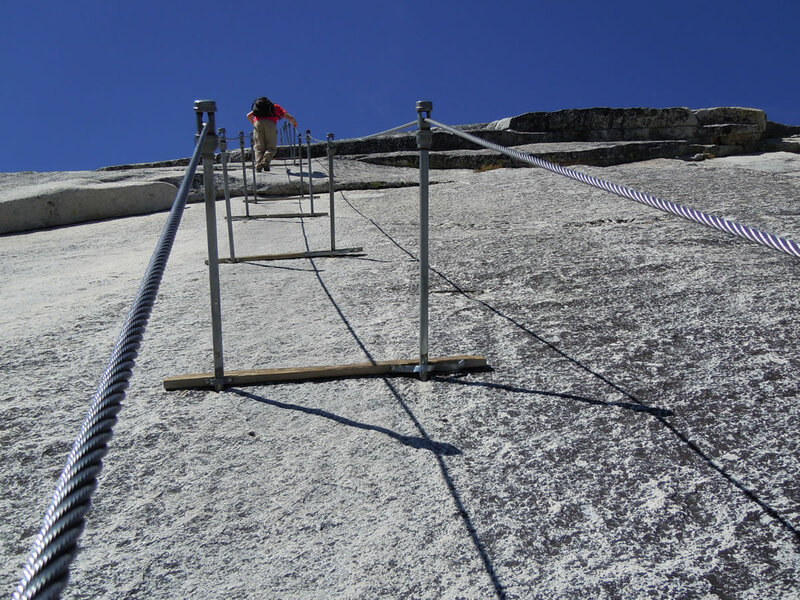 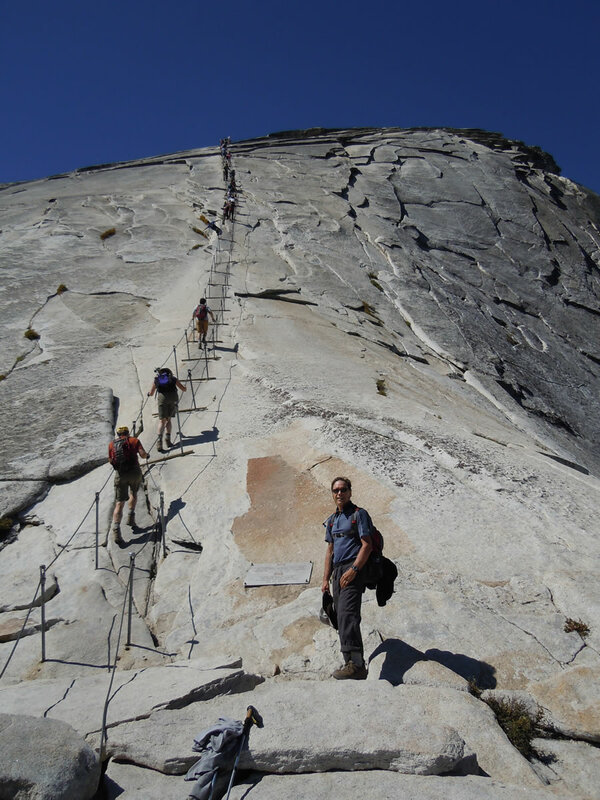 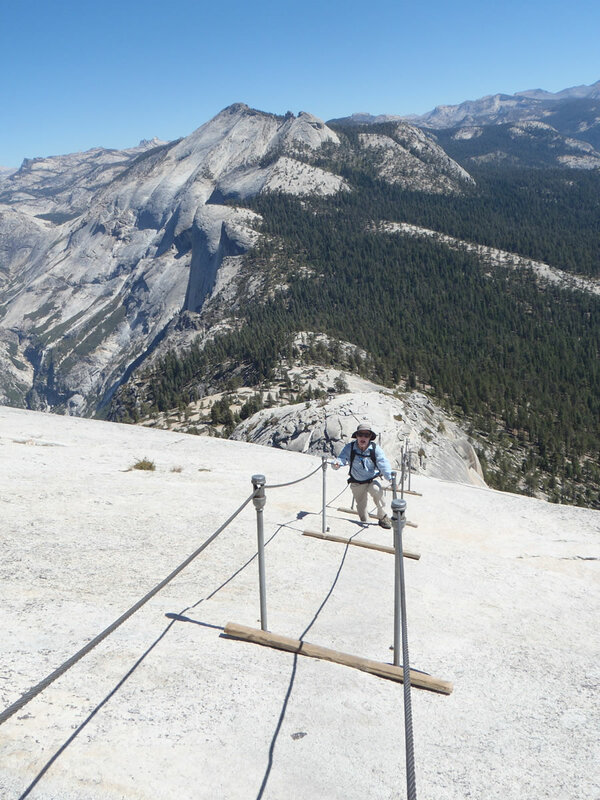 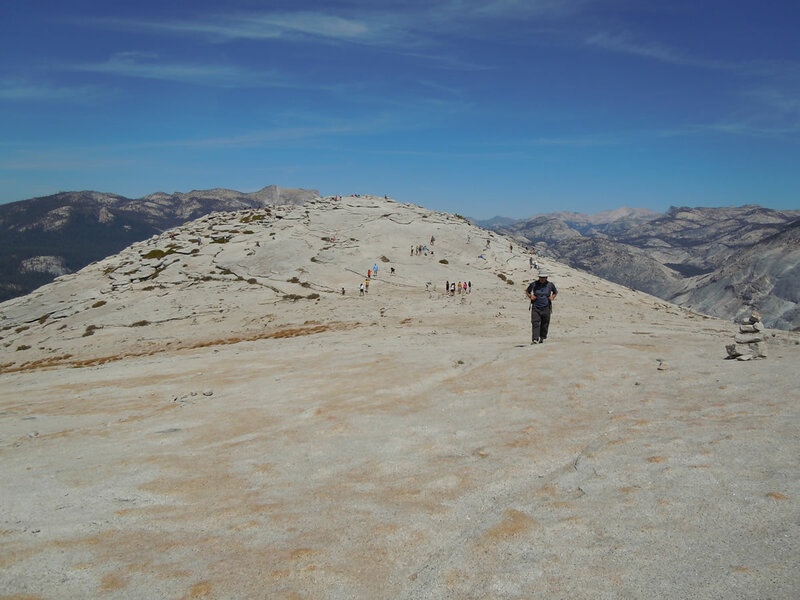 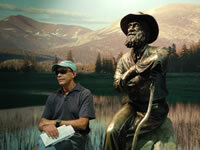 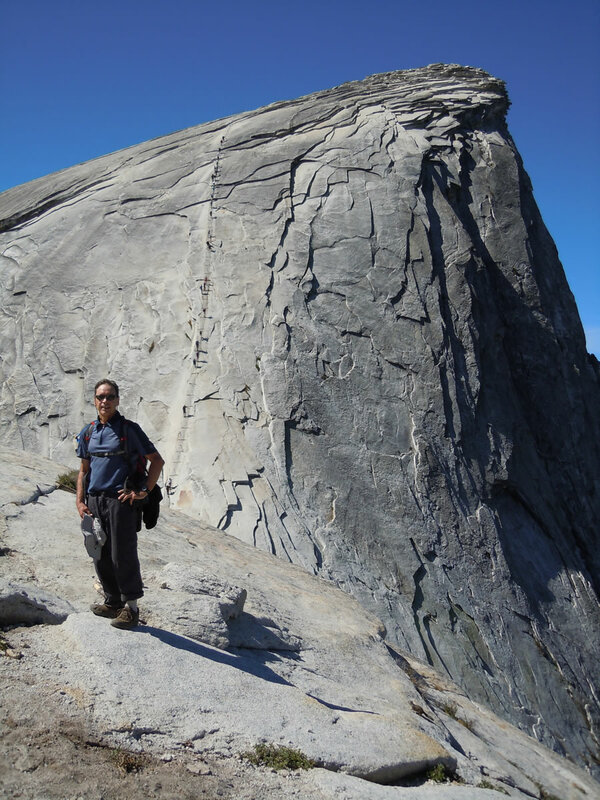 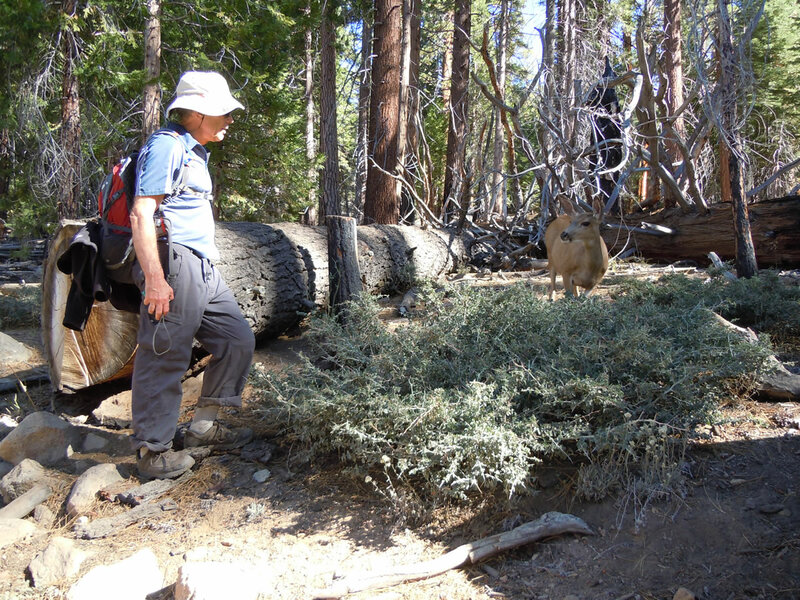 In September 2012, John and I spent a few days in Yosemite, with the highlight being our day hike up Half Dome. 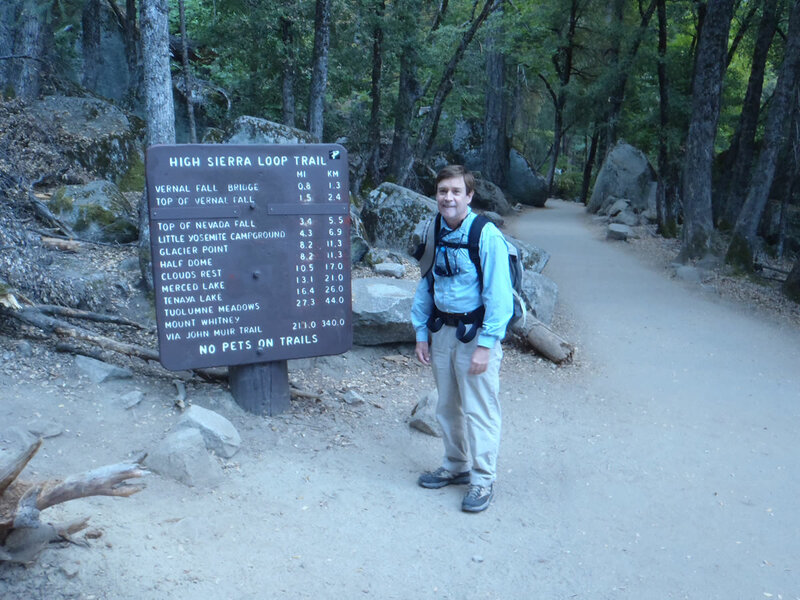 It's a 14 mile trip (round-trip) with an elevation gain of 5,000'. Couldn't have asked for better weather! View of Half Dome from the valley floor. 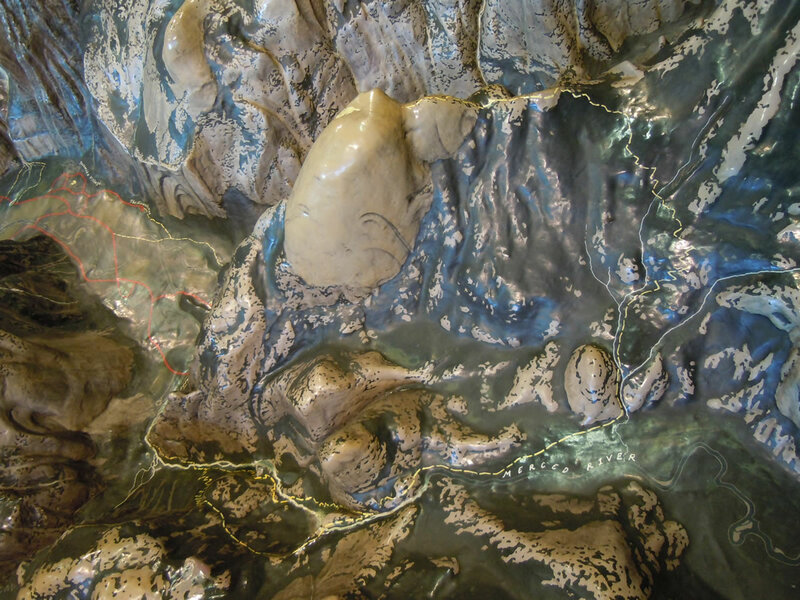 Relief map in the Visitors' Center of the trail up Half Dome. 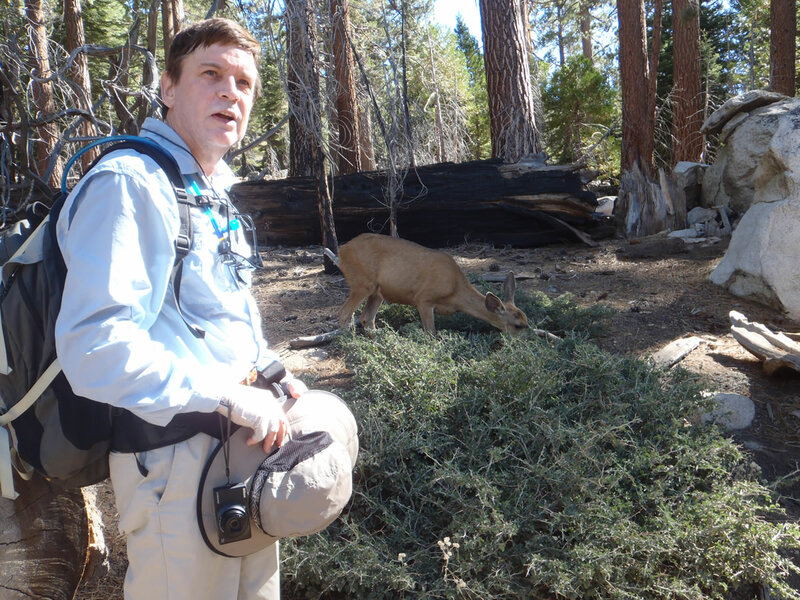 John and his new friend. 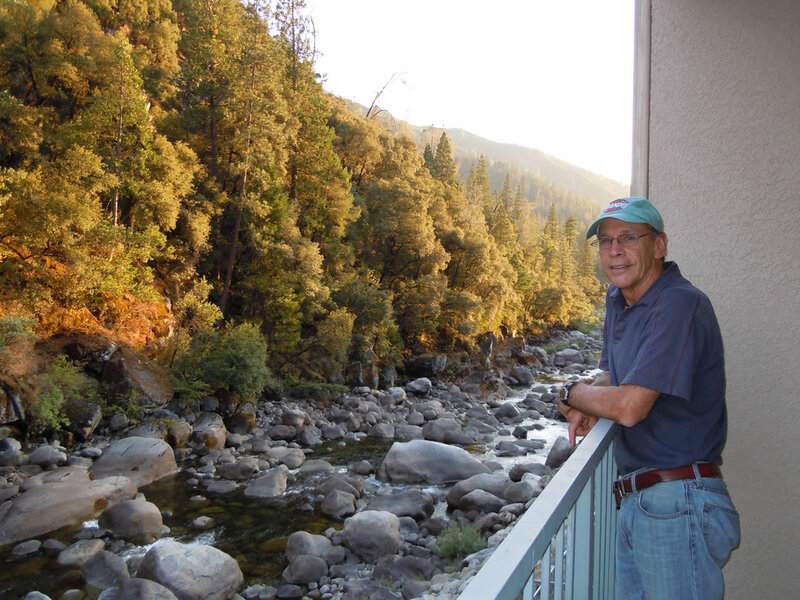 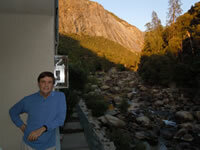 John in motel room overlooking the Merced River. 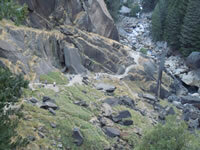 Looking back down the trail from Vernal Fall. 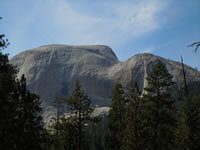 Morning view of Half Dome. 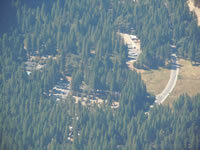 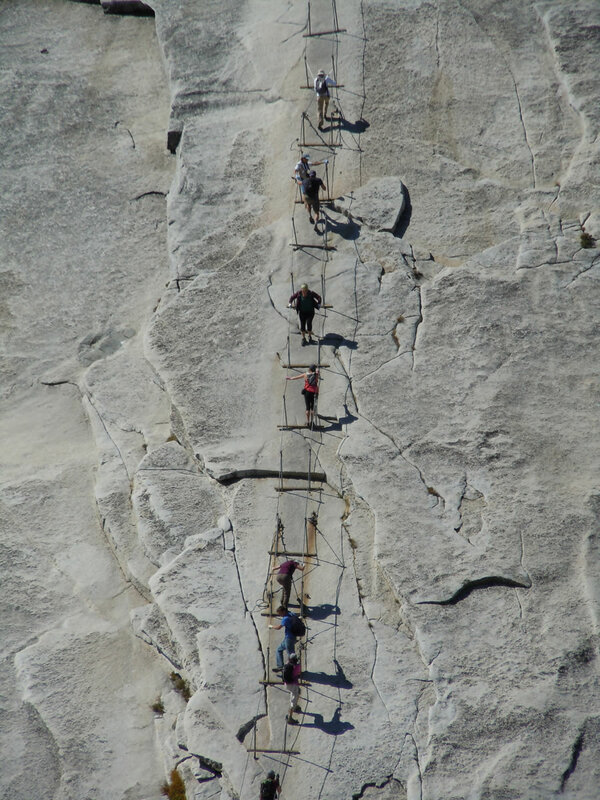 You can see some of the hikers going up the cables. 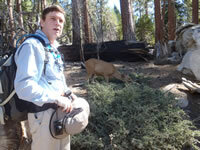 John and another new friend. Approaching Half Dome from the east. 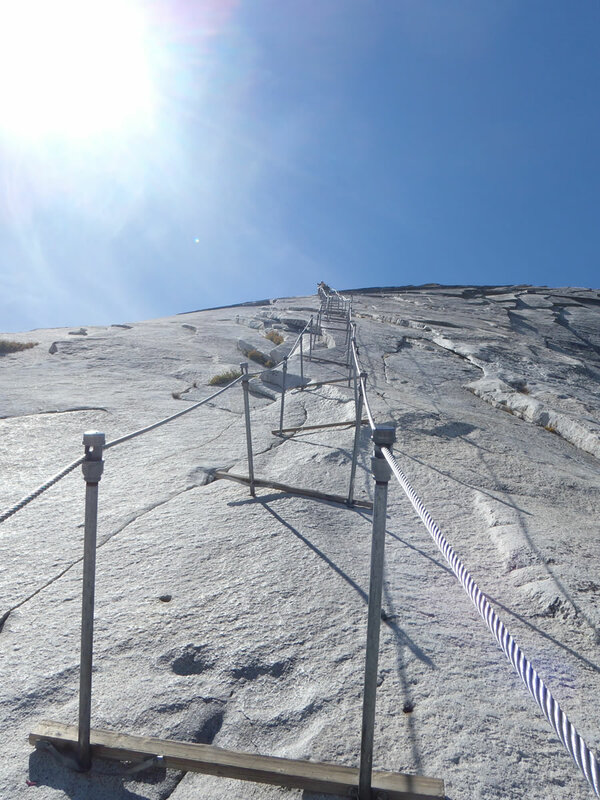 The last 400' are climbed with the aid of cables. 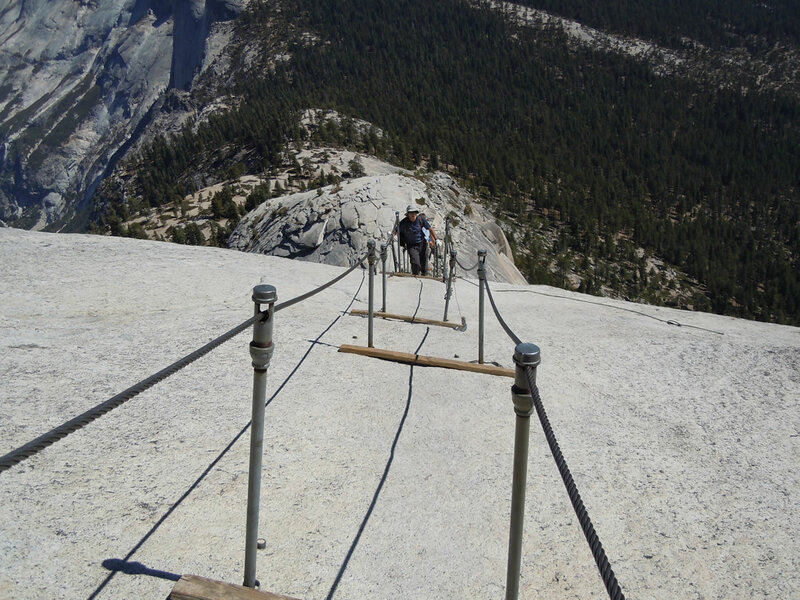 Not sure if she was going up or down. 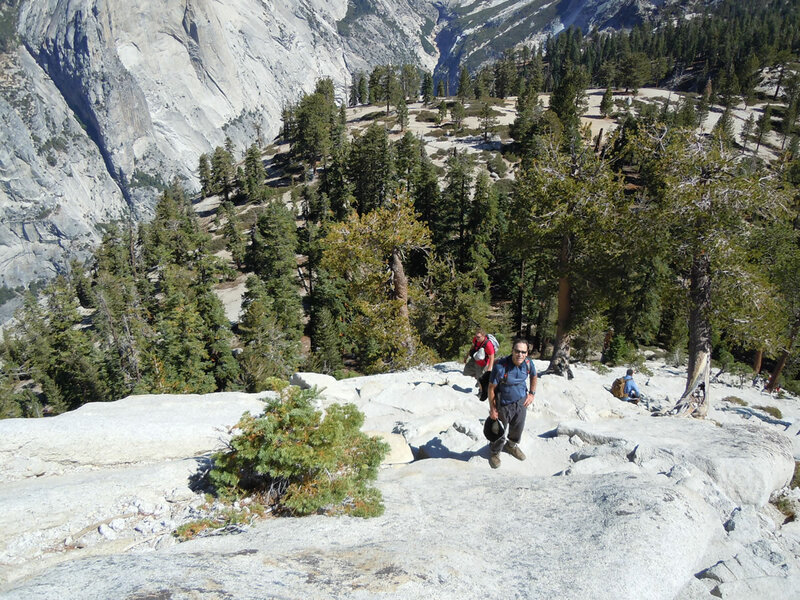 John on summit looking to the west. 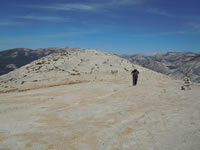 The top of Half Dome at 8800' is lower than the starting point for most of our hikes in Colorado! 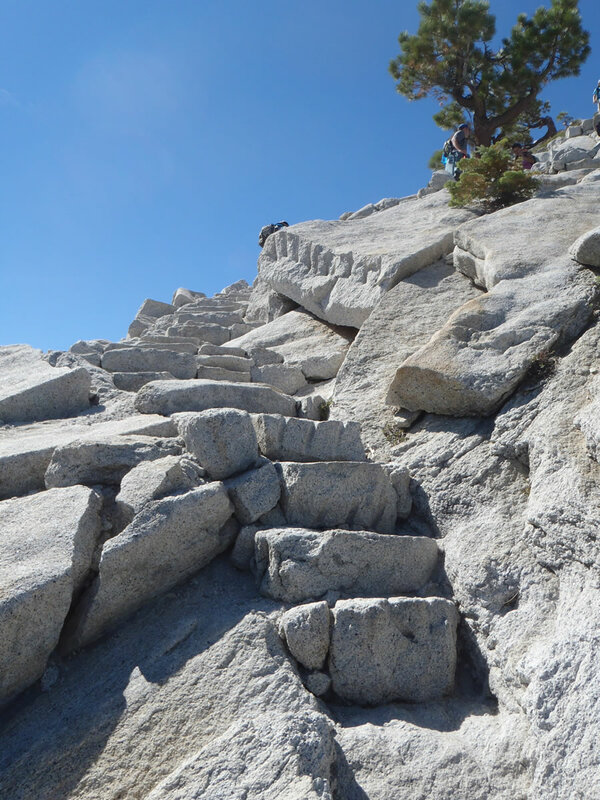 A very broad summit. 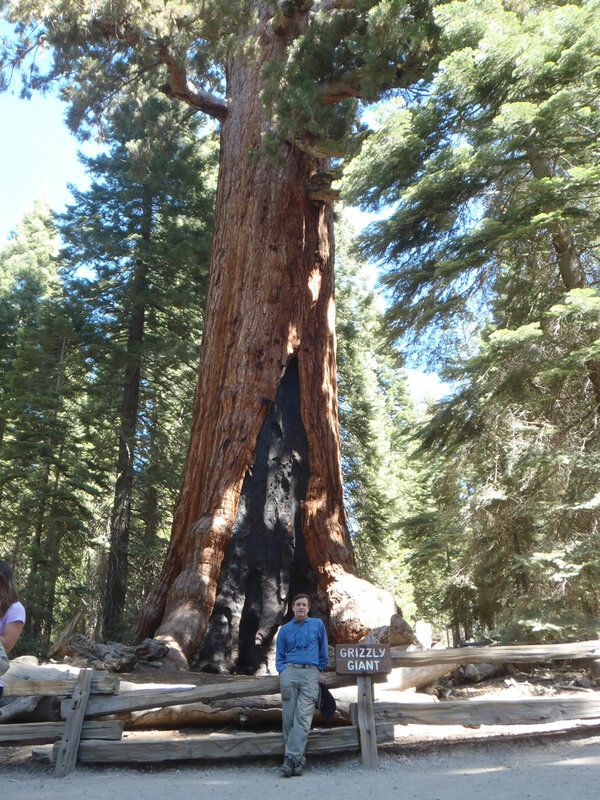 We spent an hour and a half eating and relaxing. John talking to climbers who had just summited. 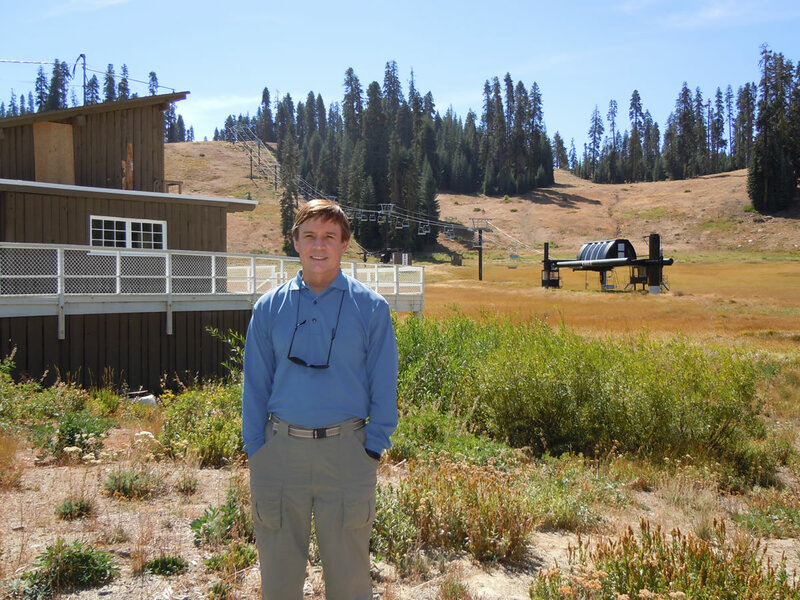 The car was parked down at Curry Village (no hantavirus for us). 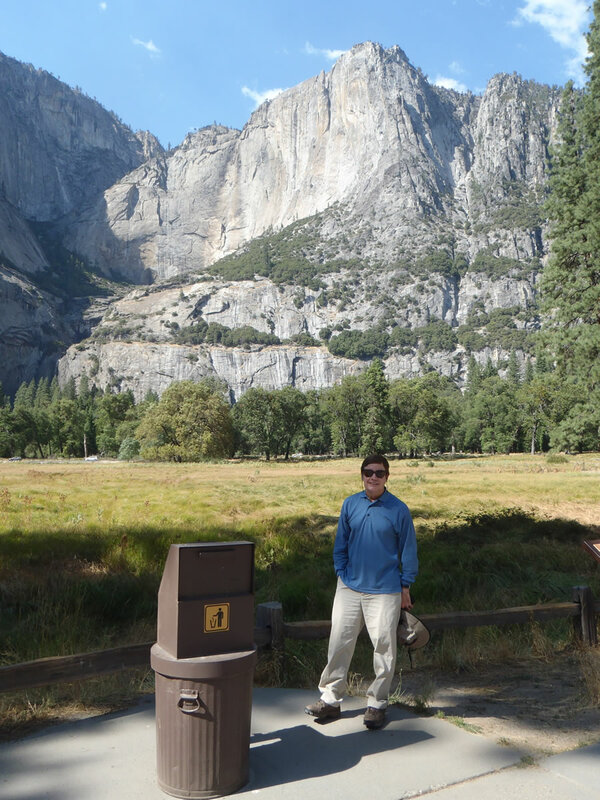 That's El Capitan in background. 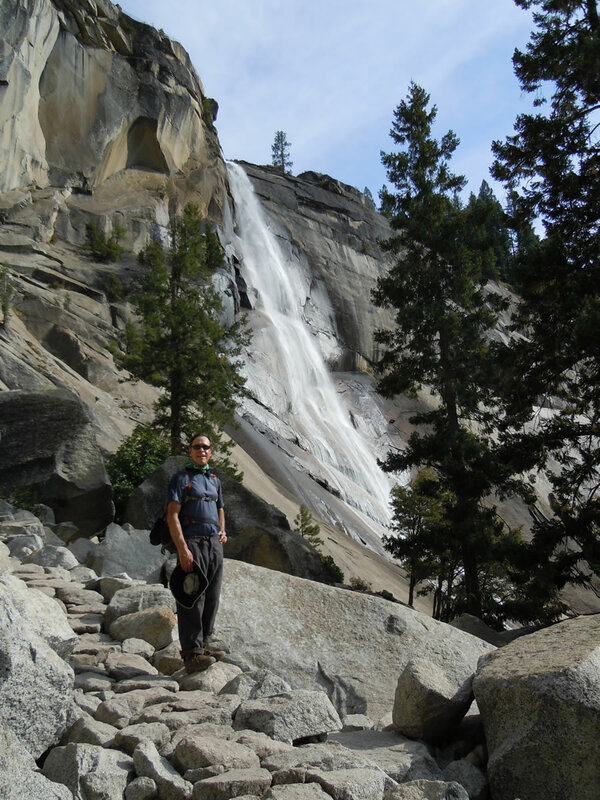 Nevada Fall on return route. 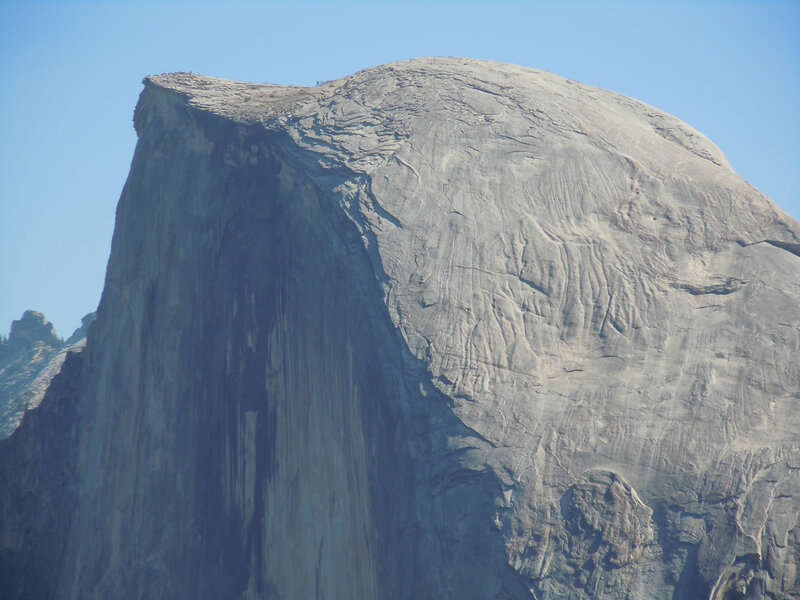 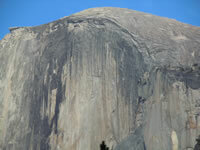 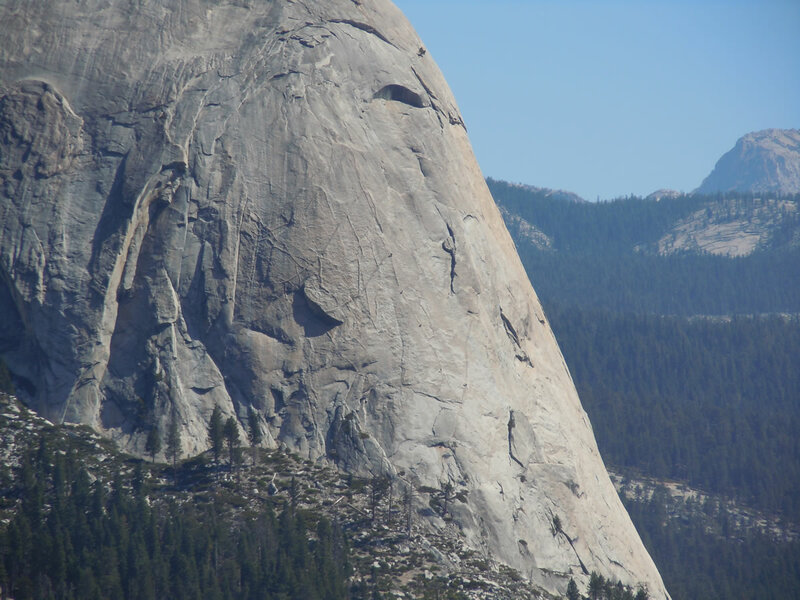 Telephoto shot of Half Dome face. 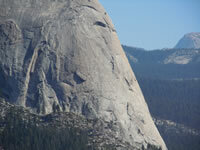 Half Dome and approach from Glacier Point. You can see people on top. 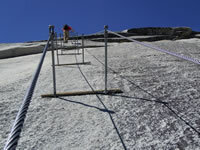 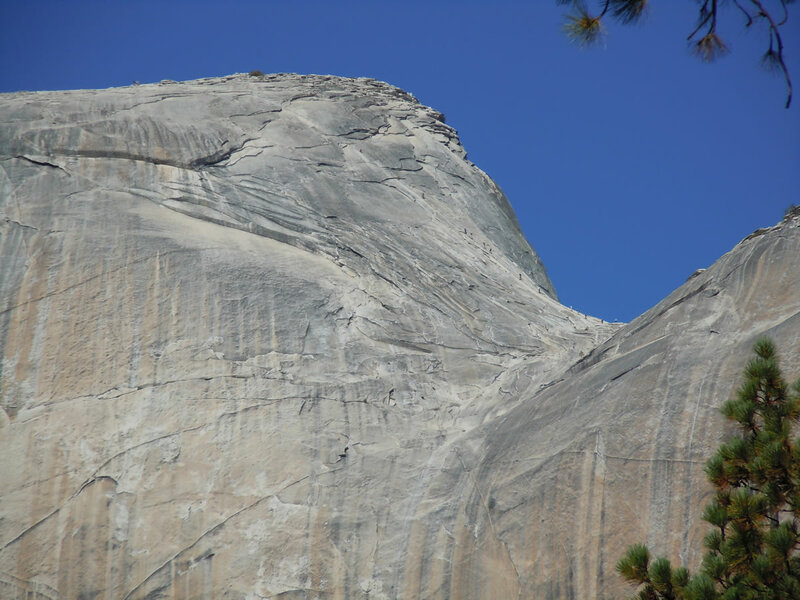 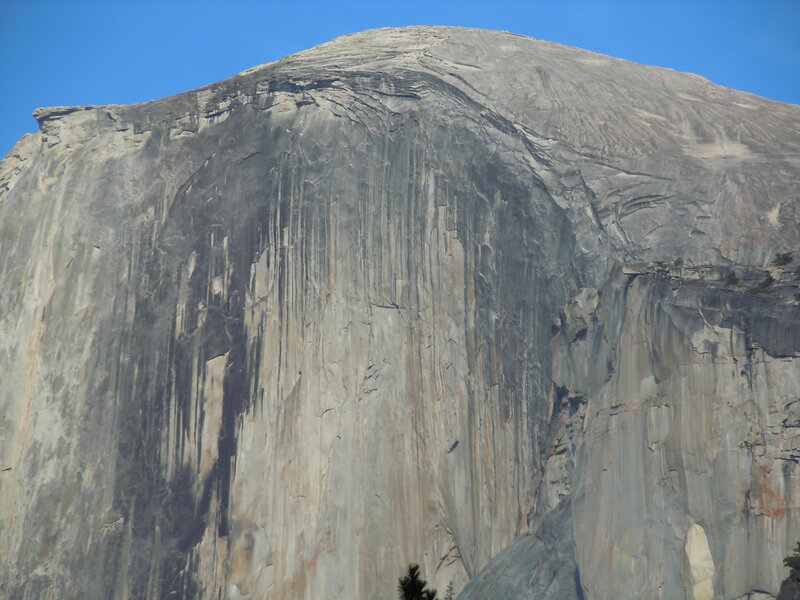 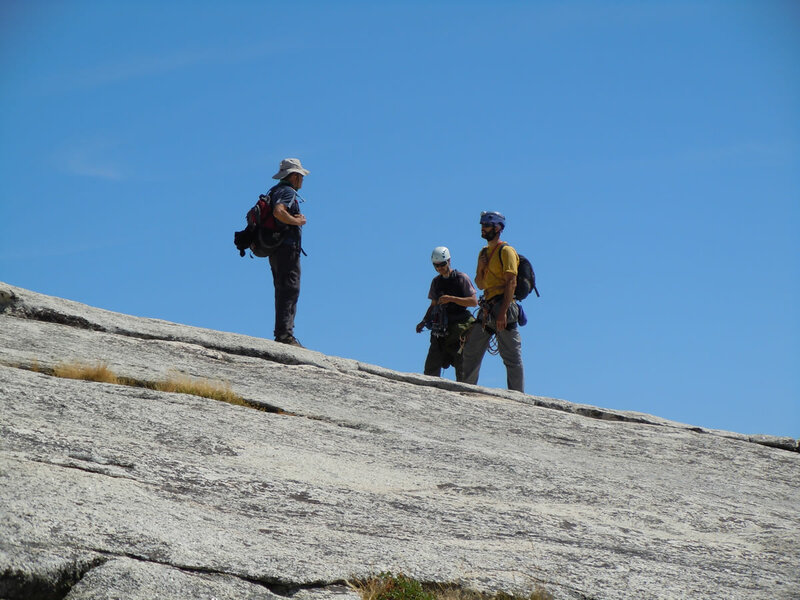 A few climbers going up Half Dome's SW flank. 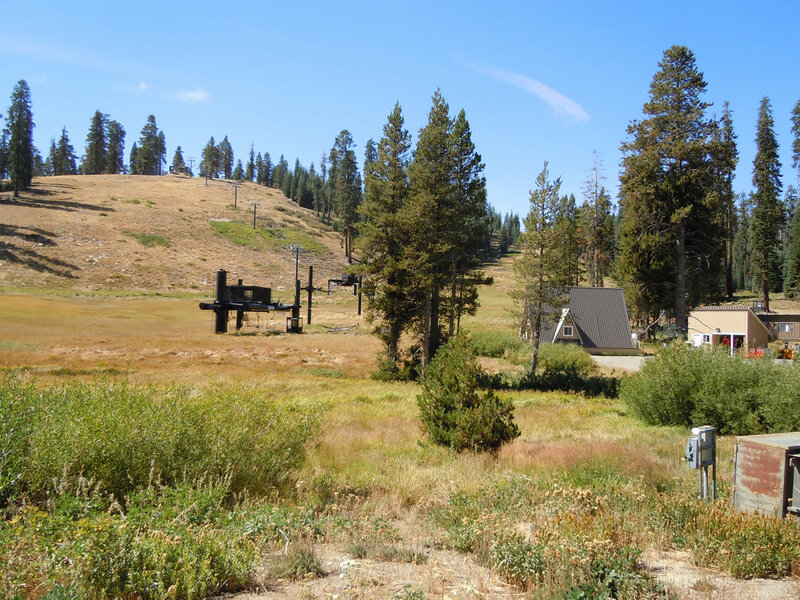 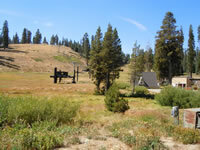 For Holly: Badger Pass ski area. 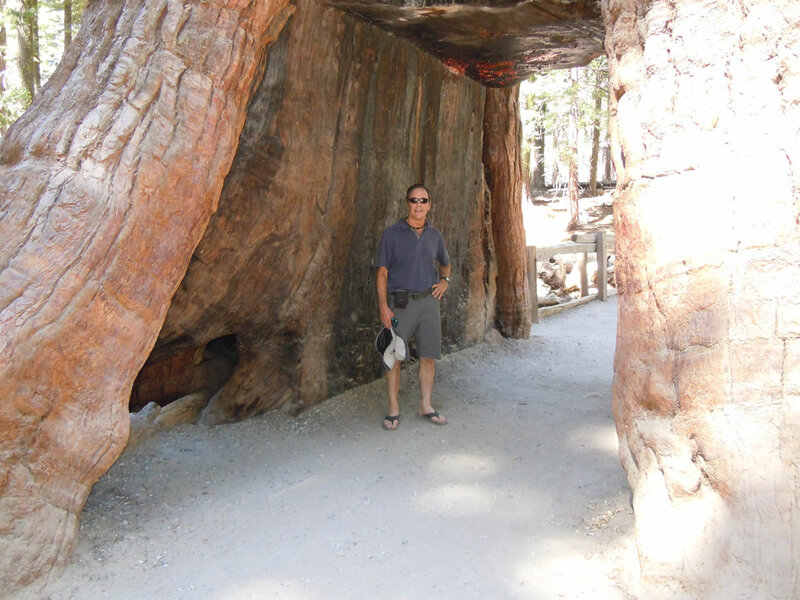 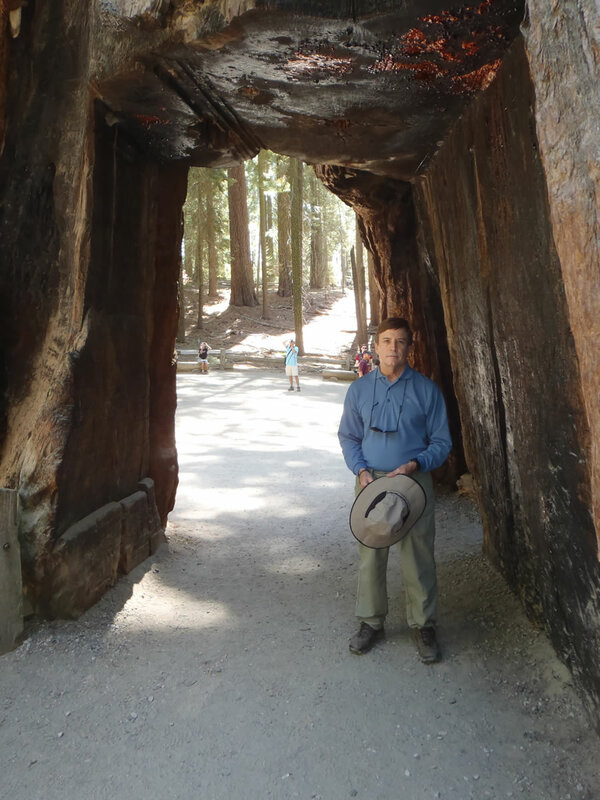 John at Mariposa Grove of giant sequoias. 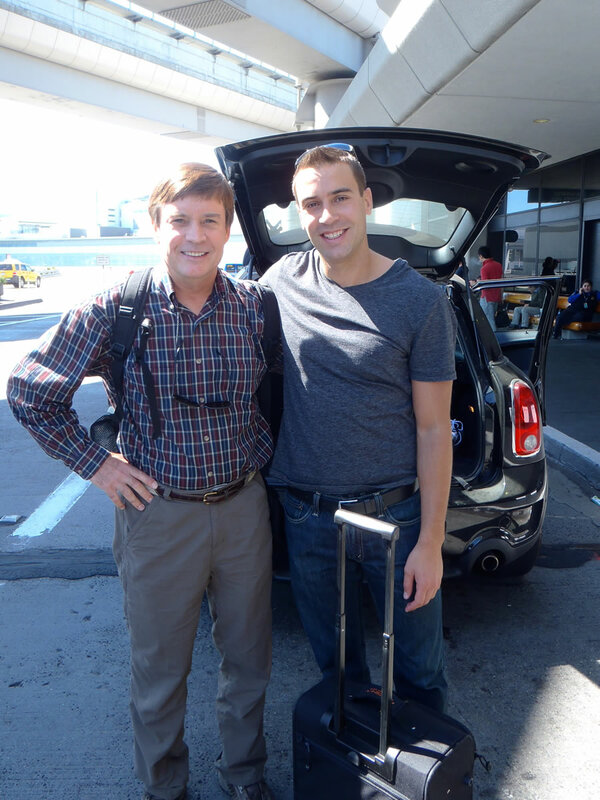 Not Yosemite, but Tony & Mattson at SFO airport. 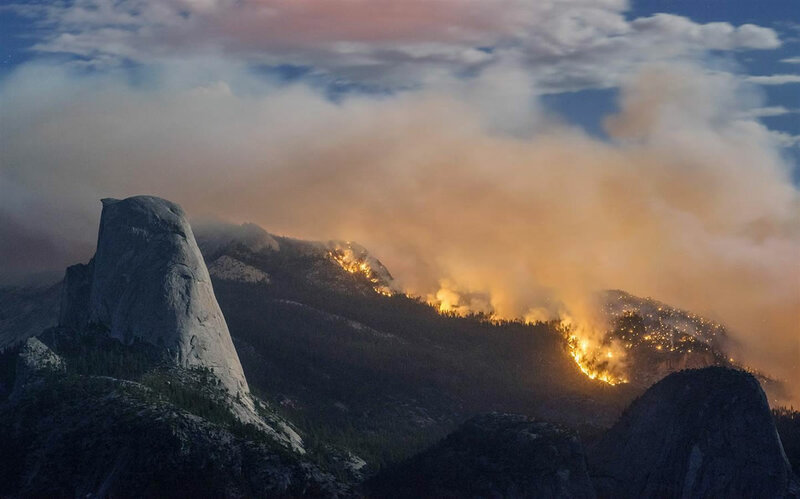 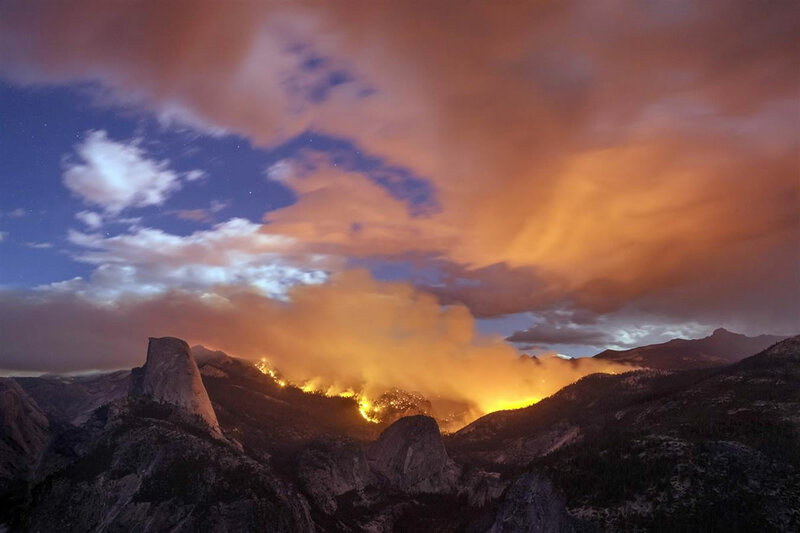 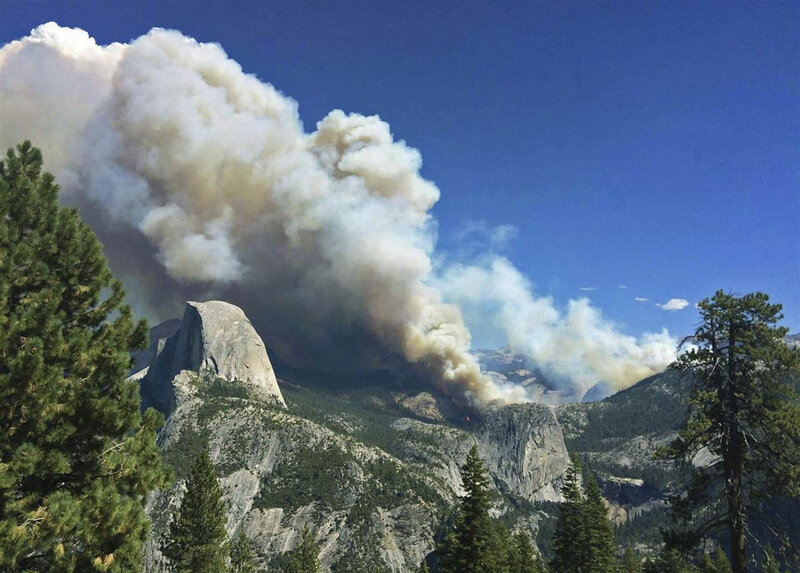 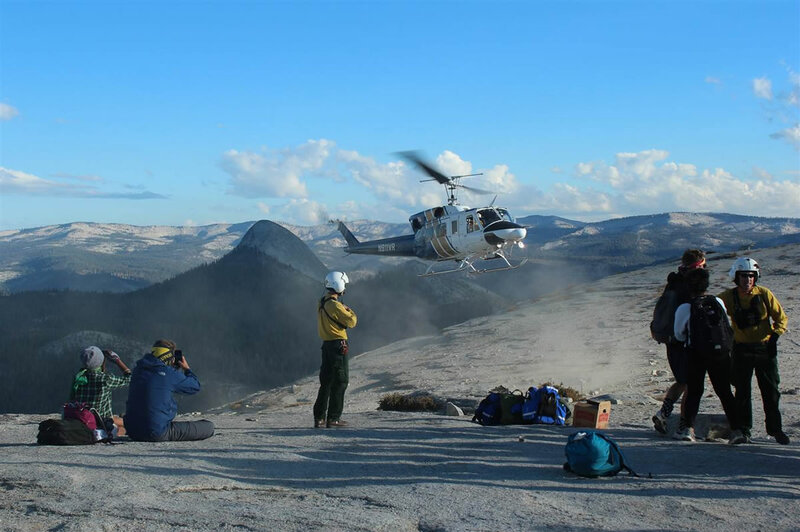 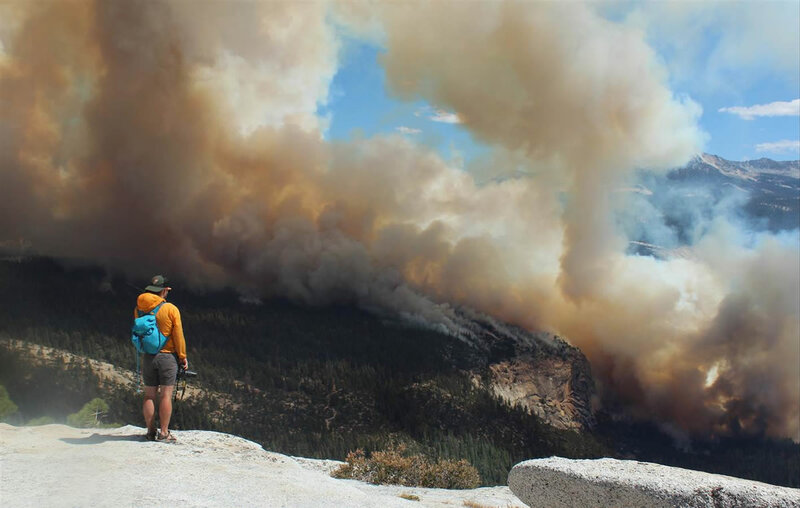 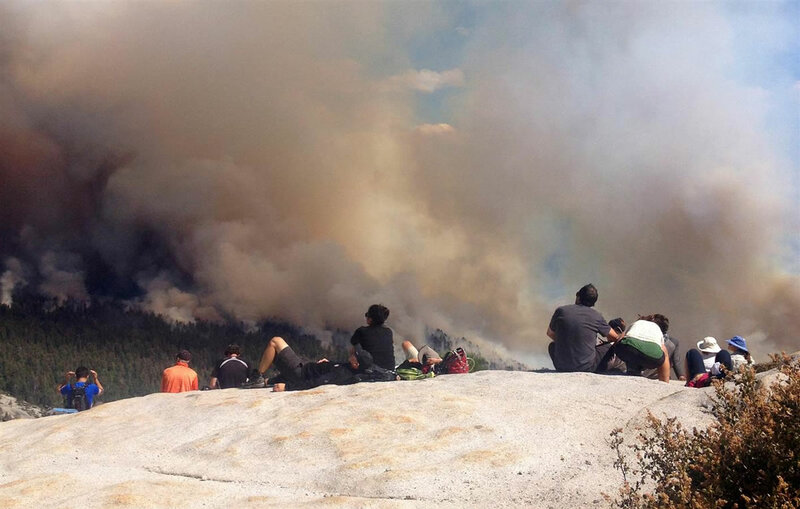 A year and a half after we hiked up Half Dome, there were some fires in Yosemite that came perilously close and forced the aerial evacuation of many hikers caught on top and unable to hike back down. 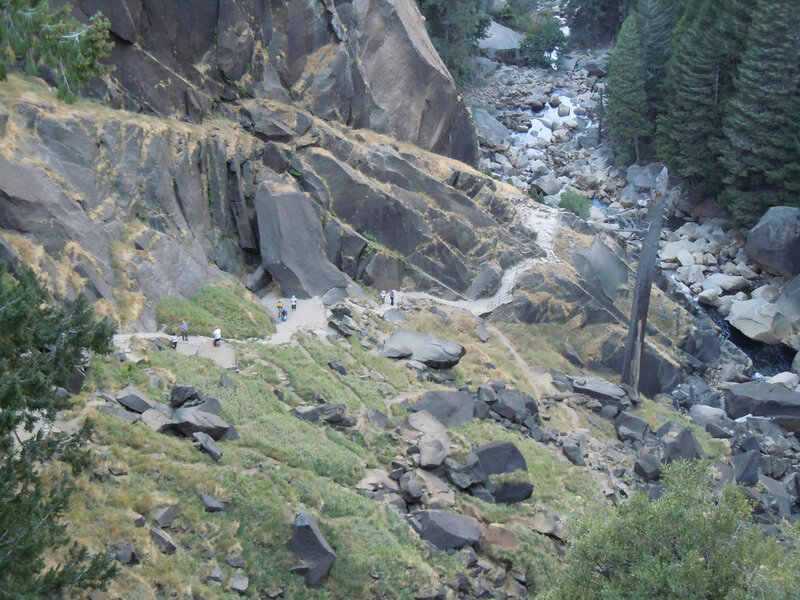 I guess we were pretty lucky with the timing of our hike.